Two simple goals drove initiation of PDS’ NKYmapLAB project: to illustrate the robust analytical capabilities of LINK-GIS and to use those capabilities to support Kenton County’s economic development program. 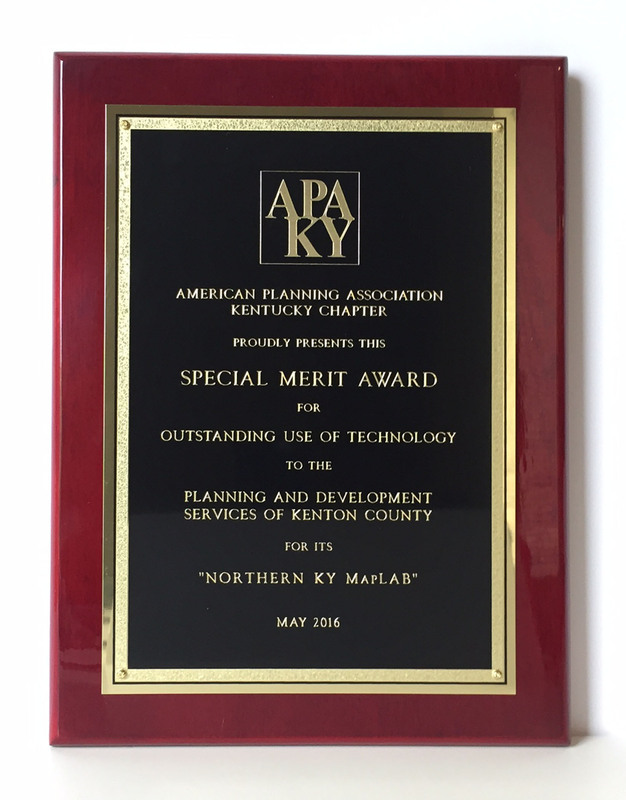 As those goals are being realized now 18 months later, NKYmapLAB has also garnered top honors during this year’s awards program of the Kentucky Chapter of the American Planning Association (APA-KY). Gordon went on then to say that he was banking that when the community is exposed to ongoing examples of GIS analytics, more people will come to appreciate what PDS and its partners have built for the community. Somewhat prophetically, he also asserted that outside interests would come to recognize NKYmapLAB’s capabilities. Some of the topics covered to date include issues as diverse as: energy efficiency; landslides; urban tree canopy; and, walkability—topics that are part of Direction 2030, Kenton County’s new cutting-edge comprehensive plan. LINK-GIS data have been a useful resource for recent economic development discussions being pursued by members of Kenton County Fiscal Court. Future NKYmapLAB products will begin the public awareness phase of Kenton County’s economic development program. NKYmapLAB products may be accessed here. Contact Hill and Ryan Kent, GISP, Principal Geospatial Analyst, for more information. Suggestions for future analyses are always welcome. LINK-GIS is an interlocal partnership made up of Kenton County Fiscal Court, SD1, the Northern Kentucky Water District, and PDS. PDS is the managing partner.